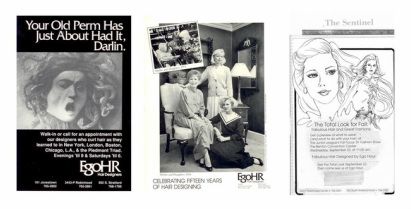 Ego Hour Hair Designers began in the fall of 1972 at 602 S. Stratford Road in Winston-Salem, North Carolina. We were the first cut and blow-dry beauty salon in Winston-Salem and one of the first in the nation. Everyone said the cut and blow-dry craze would never last. Now, almost 40 years later, we still offer exceptional quality haircuts and blow-drys to men and women of all ages. We are master hair designers continuously searching for new products and the best methods for cutting, coloring, and texturizing hair. Our three hair salons employ 65 people, (designers & support staff). On an average week, 1200 clients pass through our doors. We really care about each and every one and believe they look and feel better because we have touched their lives.